This page walks you through the example application to get you started. It assumes you already have OKCompute installed. If you do not, head over to the Installation section. 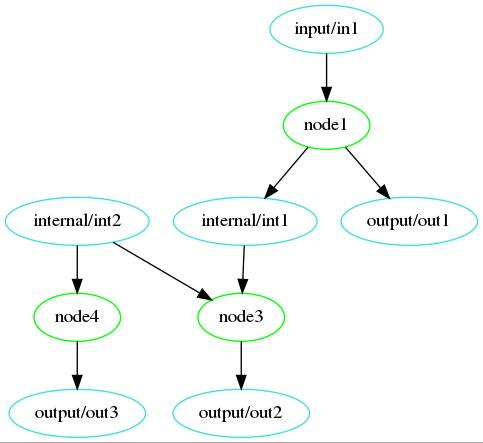 Note that you need the optional PyGraphviz dependancy to generate plots. You need to specify the input values since leaving them out would result in only a subset of the analysis being able to run. #: Fields used to reference data for analysis. The first parameter is the key. # are just used here for clarity. 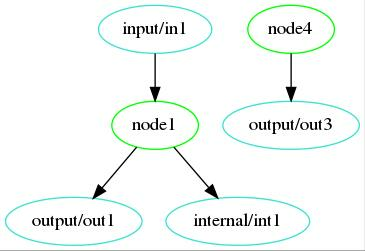 The nodes are functions with the @example_app.metric decorator. This decorator specifies the input and output fields for the metric. This along with the parameters the function takes, specify it’s properties in the analysis set. 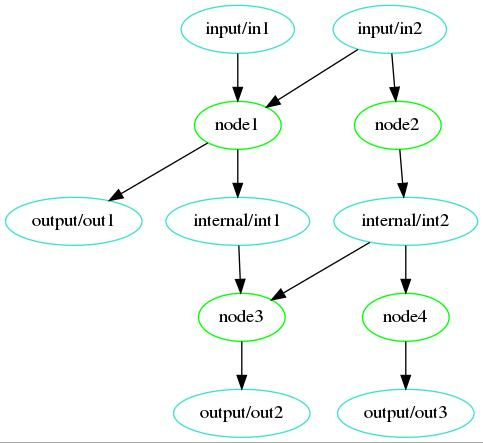 Each of these nodes adds some text to their input strings to trace the analysis. They check the nodes_to_fail variable in the module and will raise an exception if their function name is in the list. 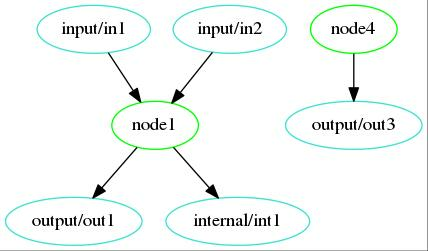 This node needs FIELD_INT2 to run. 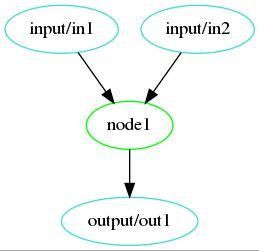 If that field is missing, valid_input which is awill be False and node4 returns a fallback value for FIELD_OUT3. valid_input is a special parameter for metrics that is reserved for this. The report is a description of what analysis was performed. "reason": "Missing due to node2 failure"
"result": "Failure: Traceback (most recent call last):\n  File \"/home/axlan/src/okcompute/okcompute/okc.py\", line 331, in run\n    retvals = node.func(**kwargs)\n  File \"example/example_app.py\", line 75, in node2\n    raise AssertionError('Induced Failure')\nAssertionError: Induced Failure\n"